Thomas is UK winner of the A future as big as your imagination, challenge! Raglan Primary School is proud to announce that one of our amazing pupils is the UK winner of the A future as big as your imagination, challenge! 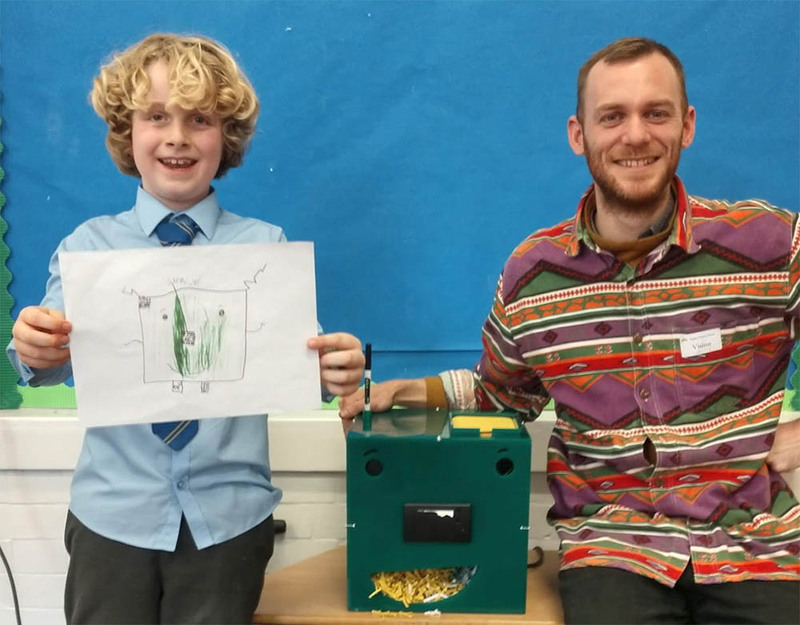 As part of this amazing challenge created by Little Inventors, Thomas and an amazing designer Gareth came together to make Thomas’ genius idea of a “worry shredder” come to life! The Worry Shredder was invented by Thomas as a way to put worries at bay. You feed your worry to the worry shredder and it provides a heartwarming solution to cheer you up. It even gives you a chocolate to make life even sweeter! The Worry Shredder was brought to life by Chief Maker Gareth Owens Lloyd. It really shreds your worries… You can post your worry in the top of the worry shredder and the solution prints out of his nose! The chocolates are hidden in the Worry Shredders mouth! Thomas was super happy to see his idea in real life! As the winner, Thomas also received £250 of arts vouchers for his school, and the opportunity to travel to Sharjah to see his invention idea displayed at the Sharjah Children’s Biennial 6th Edition! How amazing is that!